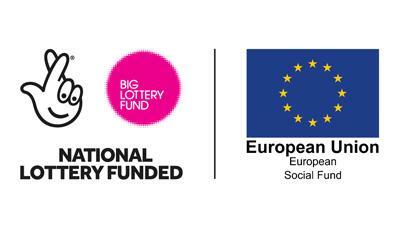 Connecting Opportunities is funded by the Big Lottery and the European Social Fund as part of the Building Better Opportunities programme. Phone Migration Yorkshire in Leeds on 0113 378 8700 and they will take the details over the phone. The aim of Connecting Opportunities is to support the most vulnerable and marginalised new migrants in Leeds City Region to integrate and to increase their employability and become economically active members of the wider community. We recognise that some of the skills, strengths and potential of new migrants could remain untapped if we do not take action to address some of the many barriers they can face. It’s a service tailored to each individual, not ‘one size fits all’. The service is being offered by ten dedicated, specialist agencies with good knowledge of the specific issues faced by migrants. You access the same service, wherever you live in Leeds City Region. We ensure the perspectives and contributions of women are included. We’re offering English language classes for up to 12 months. There is specialist mental health support available. Local mentors and befrienders help participants become familiar with their local community. Employers are supported to offer work placements. Local employers will know more about the communities living locally, will feel supported to connect with new potential employees and will promote economic wellbeing in some of the most economically-deprived areas of the region. There will be increased integration and understanding between local communities and new migrants. If you have any questions, please phone Migration Yorkshire on 0113 3788 700.